This is the second part in a biweekly ongoing series about Pokémon GO, where I will highlight new features and game-play mechanics in an continuous effort to explain why now is the best time to get back into playing this amazing game. Since the server crashes all summer, fall came and many players have stopped. However, the new updates and patches have improved game-play far beyond my expectations. Please read this week’s entry and the other entries in this series which will become available in the coming month. This week we will discuss egg hatching, and the buddy system. Both functions will require a great deal of travelling. In fact, a huge part of this game is walking and to get to higher levels, the longer you will have to walk, run, or bike. As mentioned in my previous blog in July, there are safeguards in place to prevent players from playing and driving, so try not to go too fast! First, you need get familiar with egg hatching. After you go to a few Pokéstops you sometimes are awarded an egg. You can hold up to 9 eggs at any time and to hatch them you need to put them in incubators. You get one incubator that has unlimited use and you can purchase temporary incubators for 150 Pokécoins or leveling up your character. After you have an incubator on an egg it needs to cook. You ‘cook’ eggs by walking them certain distance until they hatch. There are 2 Km (Kilometer) eggs, 5 Km eggs, and 10 km eggs; and this is the distance needed to travel to hatch the eggs while in incubators. 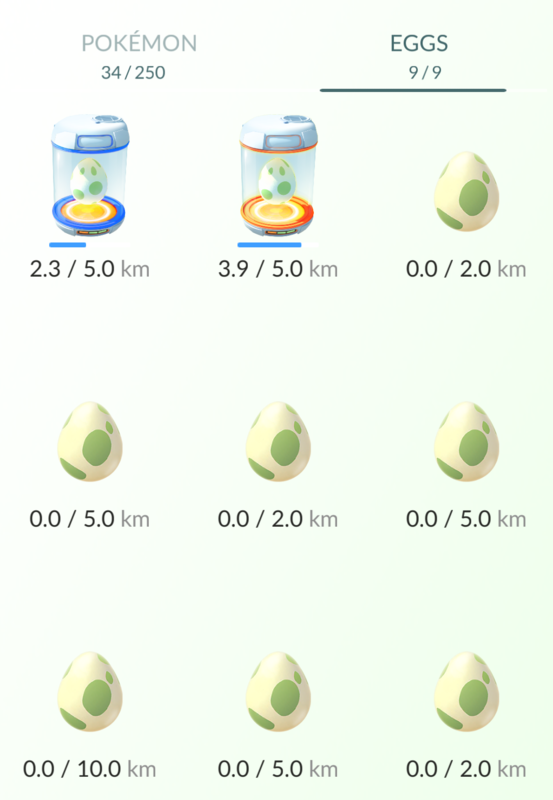 ProTip: If you are using a temporary incubator, only use them on 10 km eggs or 5 km eggs. You only get three uses so having them hatch 3 eggs that require longer distances means spending less Pokécoins per kilometer. Egg hatching has received two key updates this last month. 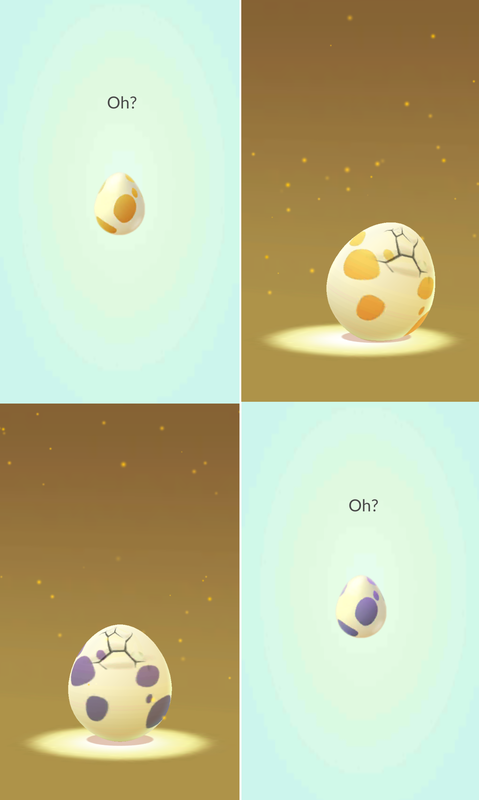 Now, eggs that take longer to hatch are marked as with different colors. 2 Km eggs are still green spotted, but now 5 km eggs are orange spotted and 10 km eggs are purple spotted! I know it’s just an aesthetic change but I get super pumped when I see purple eggs drop at Pokéstops. The most recent egg change has been the biggest improvement to the game since the battle system changes (in an upcoming blog). Certain Pokémon had their egg groups changed. IGN reported last week that Eevee will now appear in 5 km eggs instead of 10 km eggs only. Pidgey and Rattata has been removed from eggs entirely! If it hasn’t happened to you I must say it was very disappointing when a Pidgey hatches from a 2 km egg, but it was roundabout soul crushing when I had an Eevee hatch from a 10km egg last month. (Aside: I have over 300 Eevee candy and have already evolved 41 Eevees, I do not need to waste 10 km of my game time hatching another one. The Buddy System was a new feature introduced back in September. You can choose one of your Pokémon to walk with you and it will find Candy every few km. It depends on the egg groups of the Pokémon you are walking on how quickly you will get an egg. 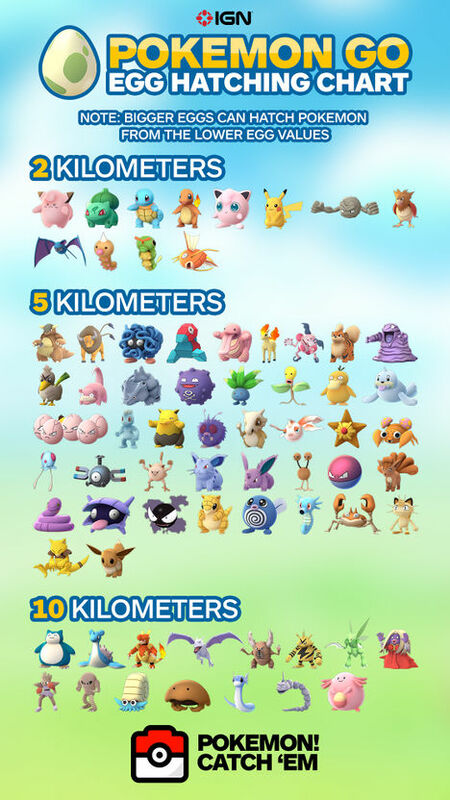 Pokémon that hatch in 2km (except starters) will find candy every 1Km walked with you; likewise 5Km egg Pokémon and the three starters you will need to walk 3Km for candy and 10KM egg Pokémon you’ll need to trek 5km for that candy. Why is this awesome? Well, you can now get candy for Pokémon you don’t always encounter. 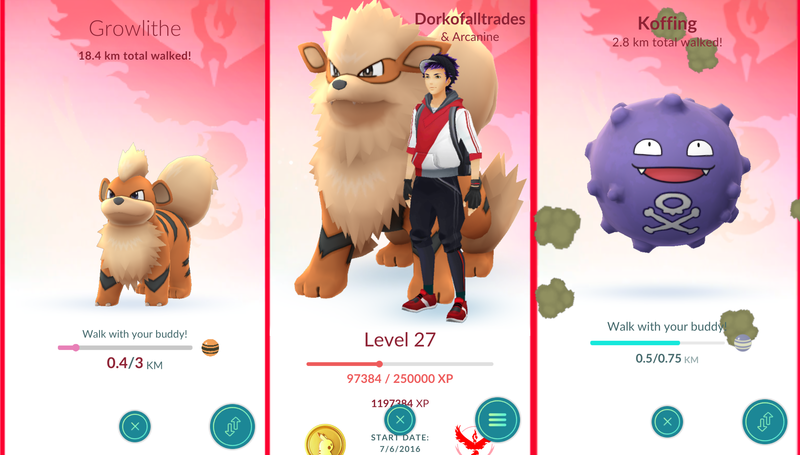 I was able to evolve Growlithe, Pikachu, Clefairy, and a few others just because of this new feature. 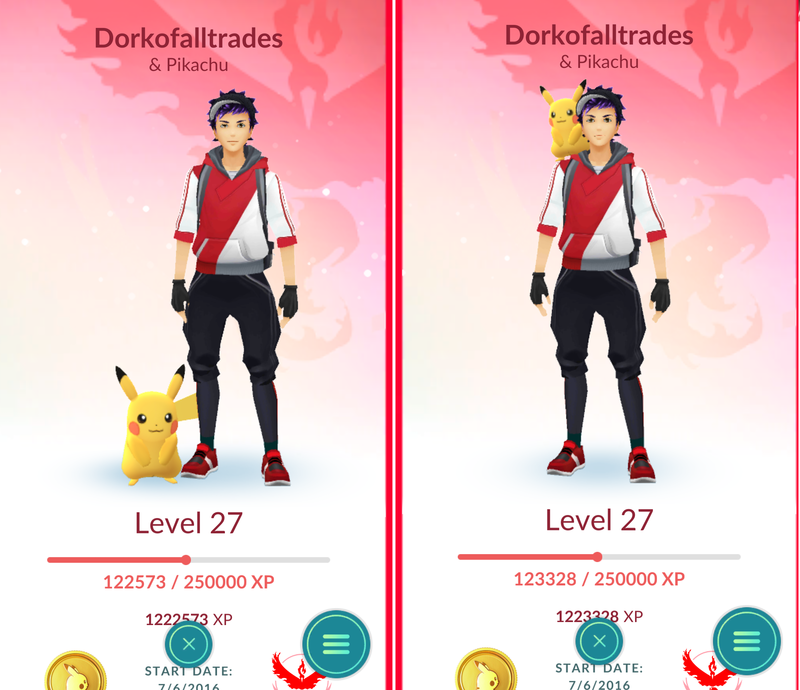 Another cool trick is Pokémon who are smaller will sometimes hang out on your shoulder, except Pikachu; you’re going to need to walk 10 km before Pikachu trusts you enough to hang out on your shoulder. It’s definitely worth it, based solely on cuteness. Lastly we will talk about speed thresholds. The Buddy system matches egg hatching in the sense that it will not work above a certain speed. You can walk or run (or drive) up 10.5 mph if you go in a straight line. You can travel up to 15 mph if you are moving in a curve or taking turns. If you are above those speeds, unfortunately your incubators and buddy won’t count the distance. Any speed below those thresholds, your eggs and your buddy will track distance. To maximize your distance I recommend using a bike, it will be easy to reach the speed thresholds without going over and you get great exercise. Have I used a vehicle to get an edge while playing? Yes, its fairly easy to turn the app on and drive slowly through a parking lot, or have it turned on during your morning commute. I don’t think playing while driving is the most honest way to play, but it is an easy way to get points, especially in rush hour traffic. 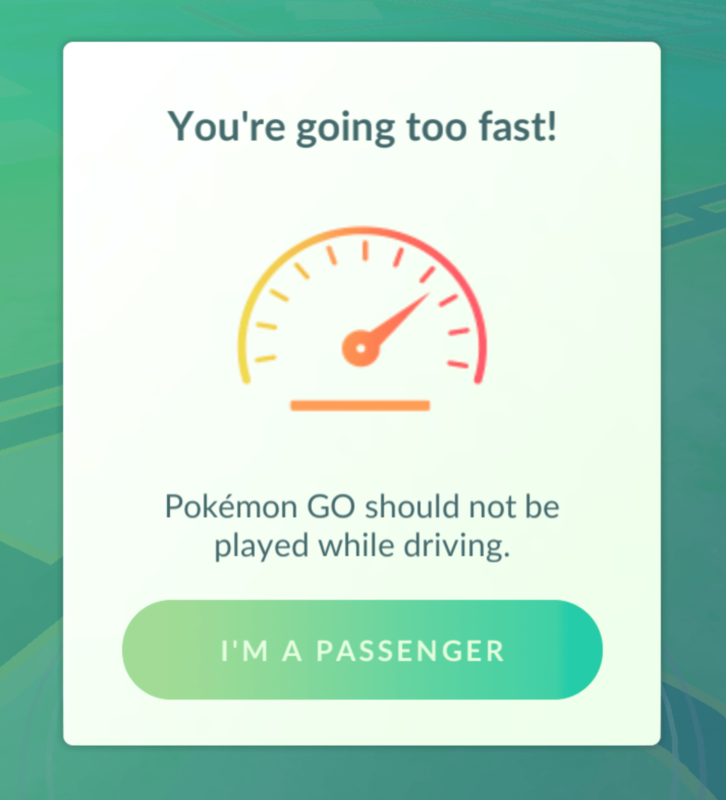 DISCLAIMER: I am not endorsing using your phone while driving, if you plan to ‘play’ Pokémon GO in a car, be the passenger, or have the app on idly while you focus on driving in the real world. Happy Hunting friends.